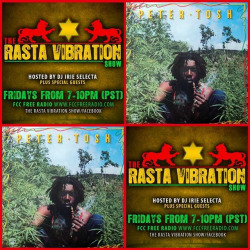 Tonight on The Rasta Vibration Show we are celeblazin Irie Selecta’s earthstrong!!! Gonna be pure vibez tonight!!! Make sure to tune inn 7-10pm Cali time on www.fccfreeradio.com Live in Studio 1A!